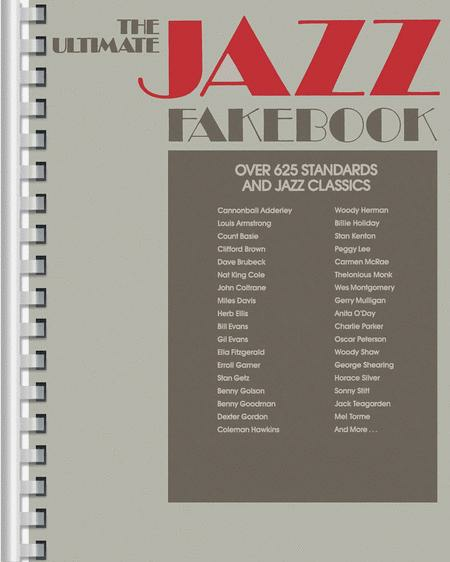 This must-own collection includes more than 625 songs spanning all jazz styles from more than 9 decades - from traditional to swing to modern jazz, carefully chosen chords with common practice chord substitutions, lyrics to accomodate vocalists, easy-to-read music, and composer and performer indexes. Songs include Maple Leaf Rag, Lullaby Of Birdland, All The Things You Are and many more! While the selection and type setting is quite nice, the spiral binding is so small and tight it's quite difficult to flip through the book. Apart from that, I'd recommend it! Worth every penny. Wonderful selection of music which works well on recorder. much great music in one collection. I agree with the person who said the music is a little too small. It is true that not everything is jazz (You'll Never Walk Alone?) but the other pieces included are very nice, and I don't have them in other collections. I am a flutist, and find that everything is too low, but works fine transposed up an octave. I haven't had a chance to hear the accompaniments yet. 68 of 116 people found this review helpful. 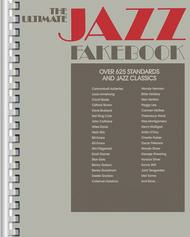 With 625 tunes, the Ultimate Jazz Fake Book is the largest collection of Jazz classics put together in any publication. The chord voicings are intelligent and the arrangements complete. This book is a must for the serious musician. 69 of 116 people found this review helpful. There are some standards in this book, but not enough jazz. In fact, this faker has lots of the same songs and arrangements as are in one of the pop fake books I purchased. 65 of 116 people found this review helpful.